Tickets go on sale to Matchroom Boxing Fight Pass members at midday on Thursday November 3 from the Fight Pass members via this link: bit.ly/JoshuaMolina. Tickets are priced at £40, £60, £80, £100, £150, £200, £300 and £500, with Inner Ringside VIP tickets priced at £800 – due to the high demand for the event, tickets are capped at FOUR per Fight Pass member. Tickets go on general sale at midday on Friday November 4. Tickets priced £40 to £500 will be available from http://www.manchester-arena.com/ and on 0844 847 8000 VIP tickets are £800 and available exclusively from Matchroom Boxing www.matchroomboxing.com. Face value tickets for December 10 are also be available from http://www.stubhub.co.uk/matchroom-boxing-tickets/ . 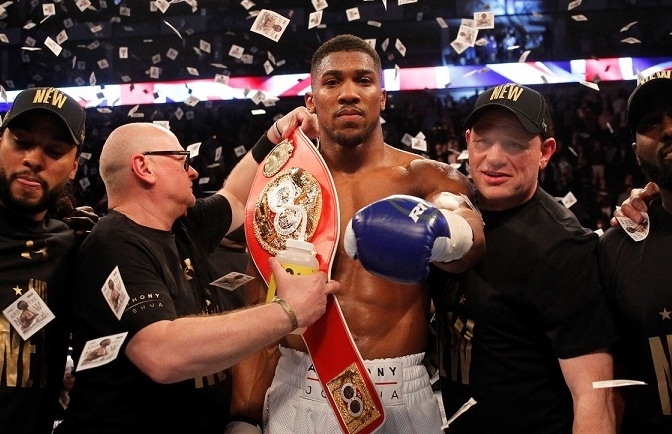 StubHub is the official ticket partner and marketplace of Matchroom Boxing and Anthony Joshua.